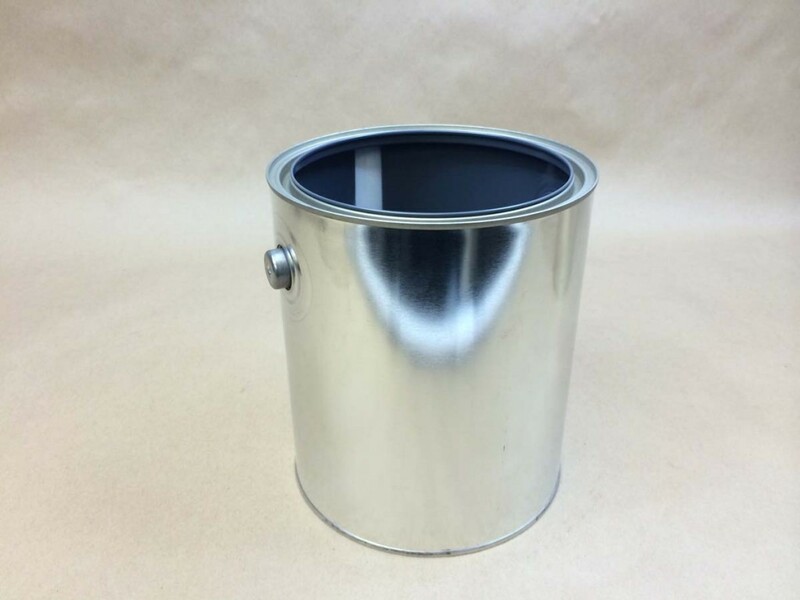 Are you looking to purchase lined or unlined paint cans? 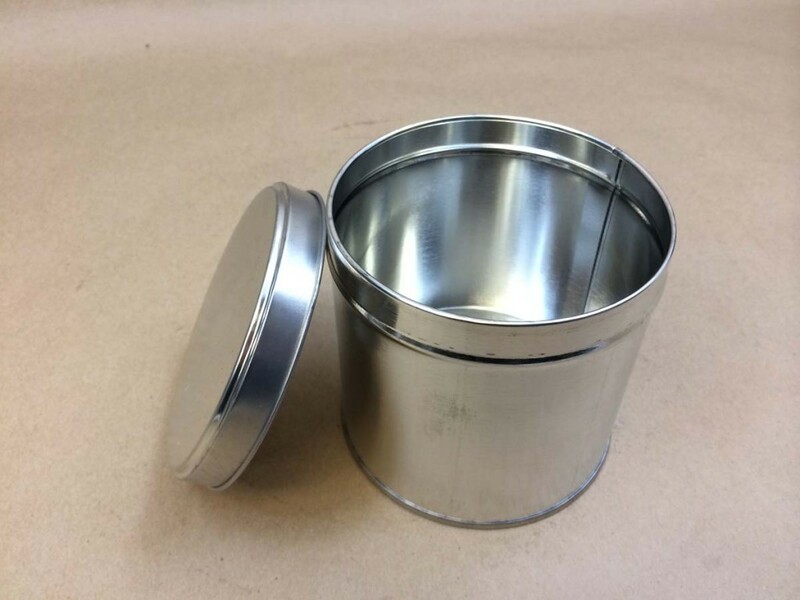 Yankee Containers may be able to help. 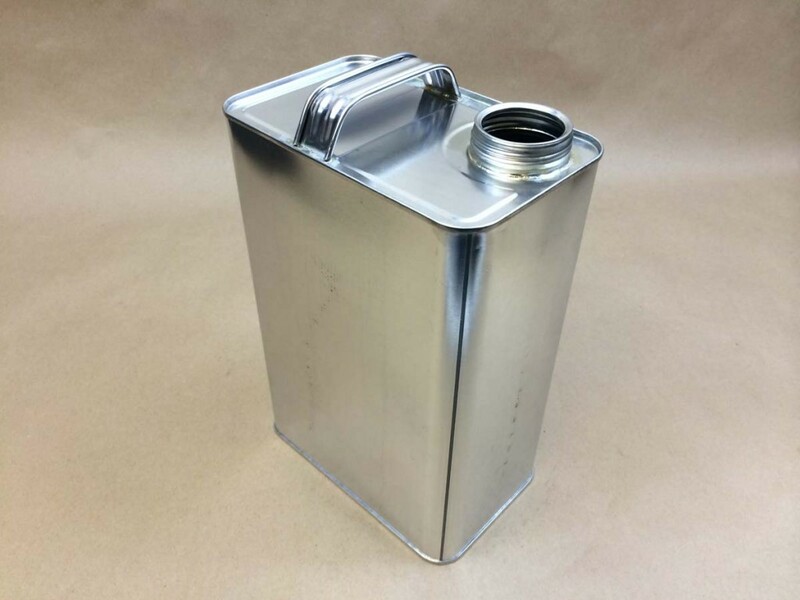 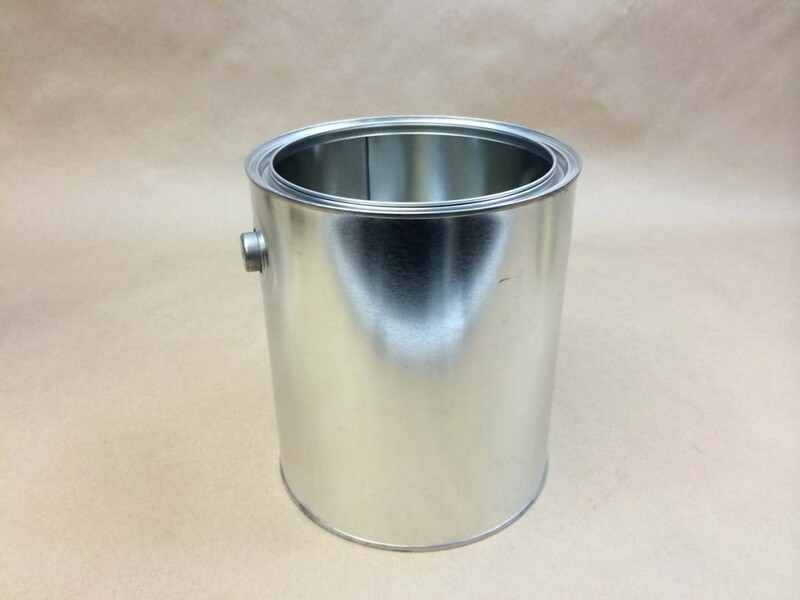 We stock a 5 quart (Imperial Gallon) unlined paint can with no handle. 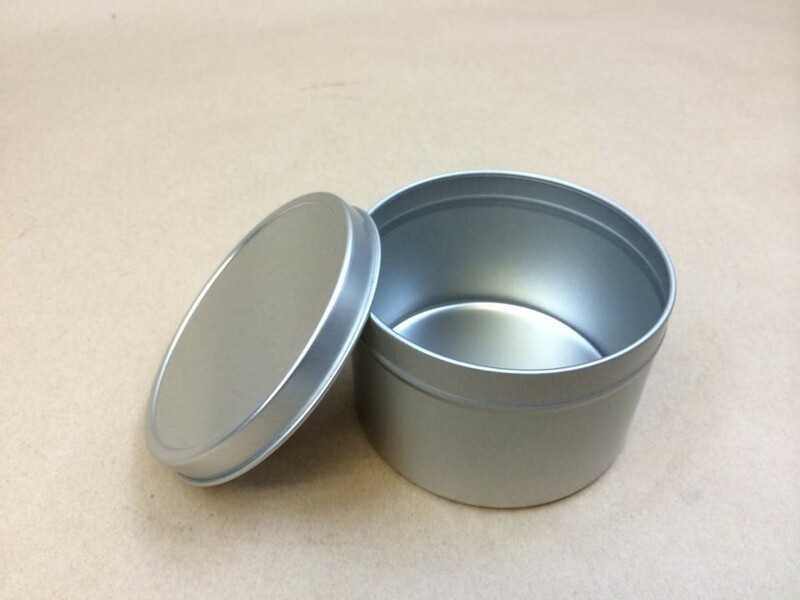 These come in cases of 30. 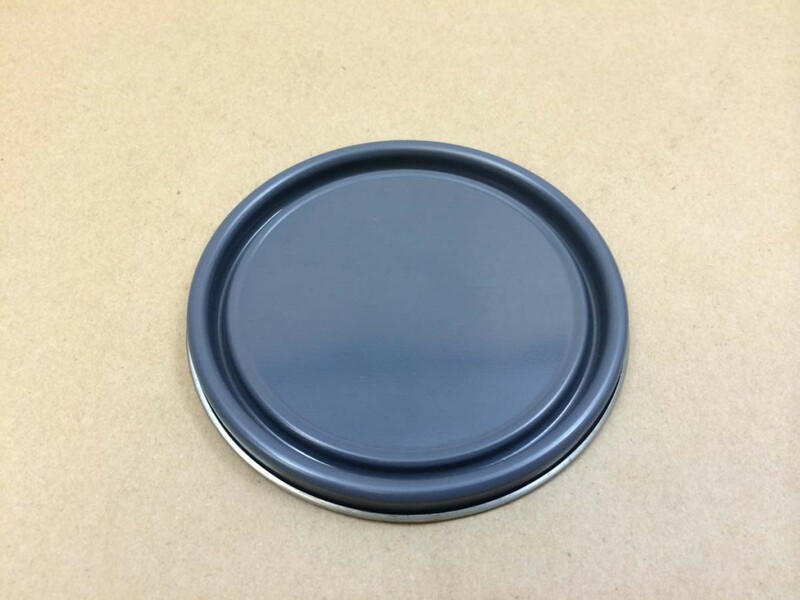 This is our item #ASC6-WO-0-0002. 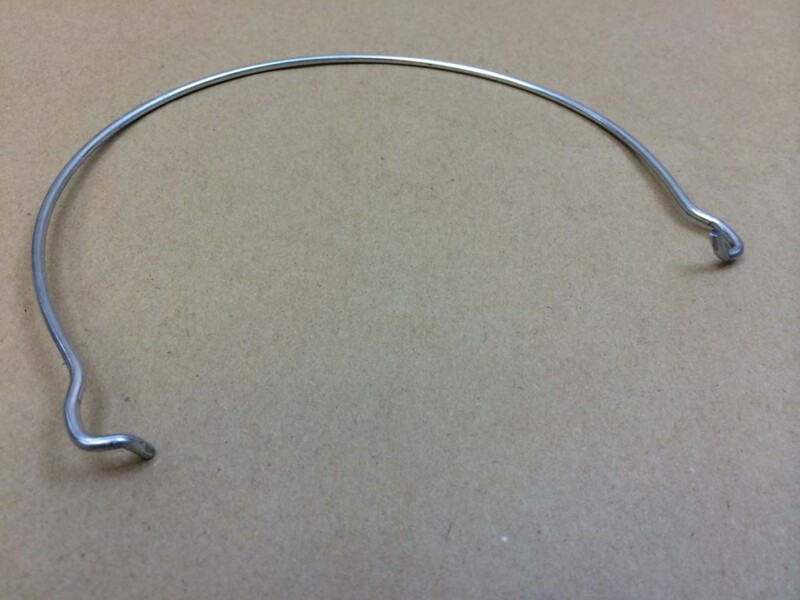 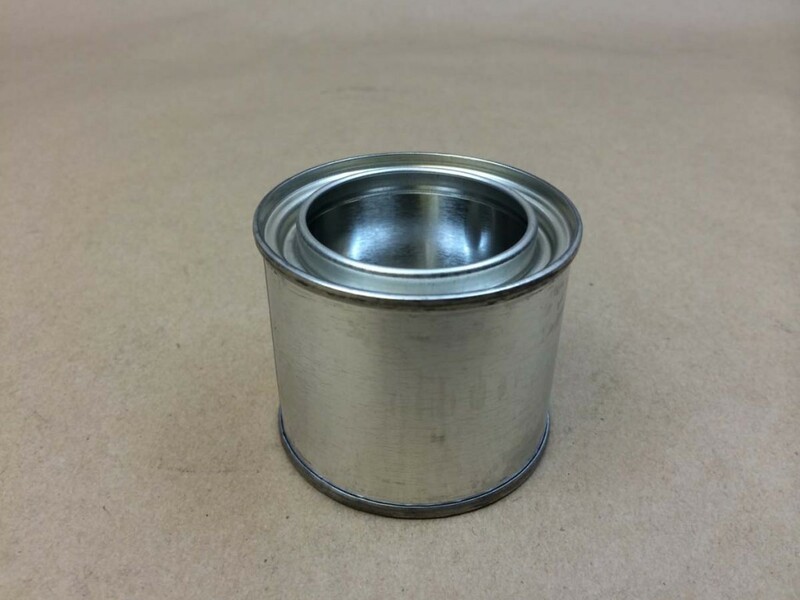 The plug is a separate item number (ASC6-32-0-0000). 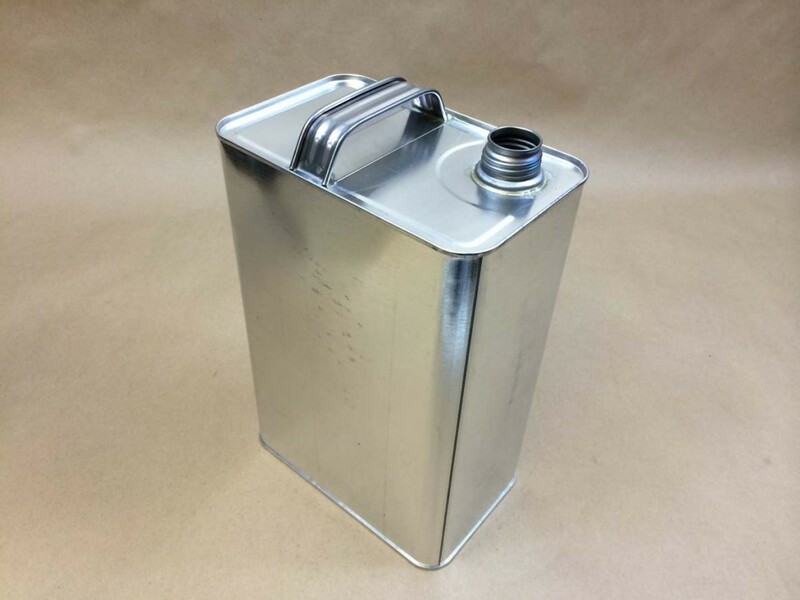 We also stock gallon, half gallon, quart, pint, half pint, and quarter pint cans. 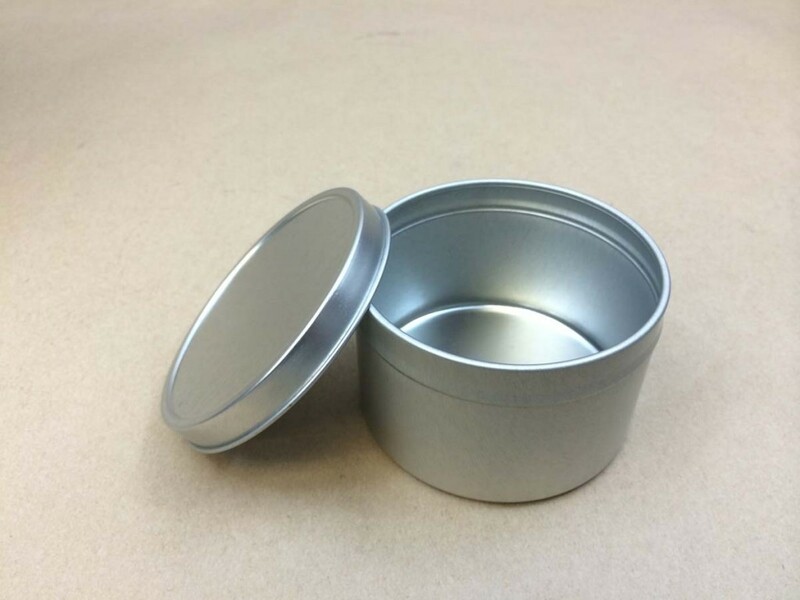 Case quantities vary. 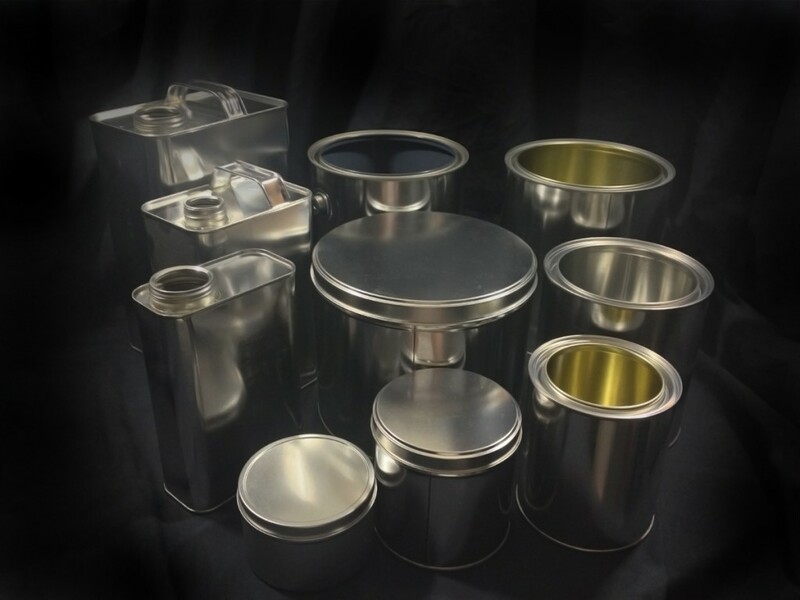 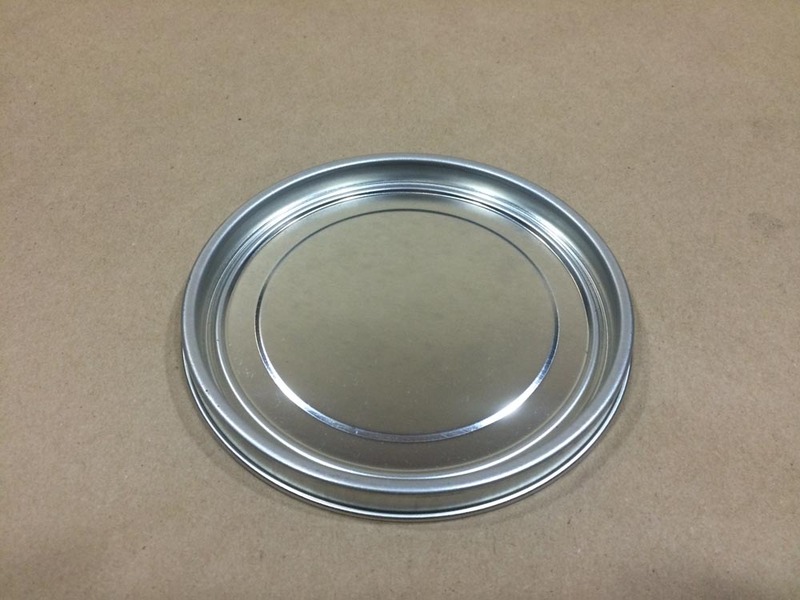 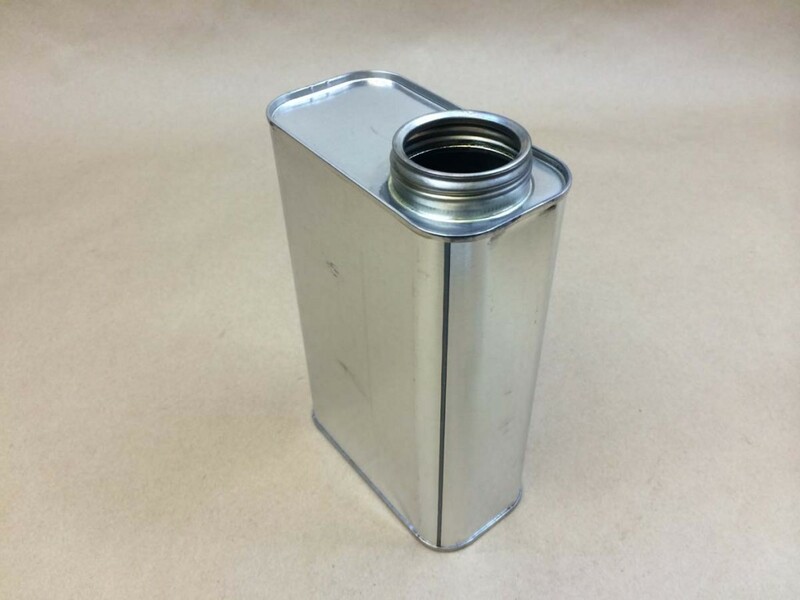 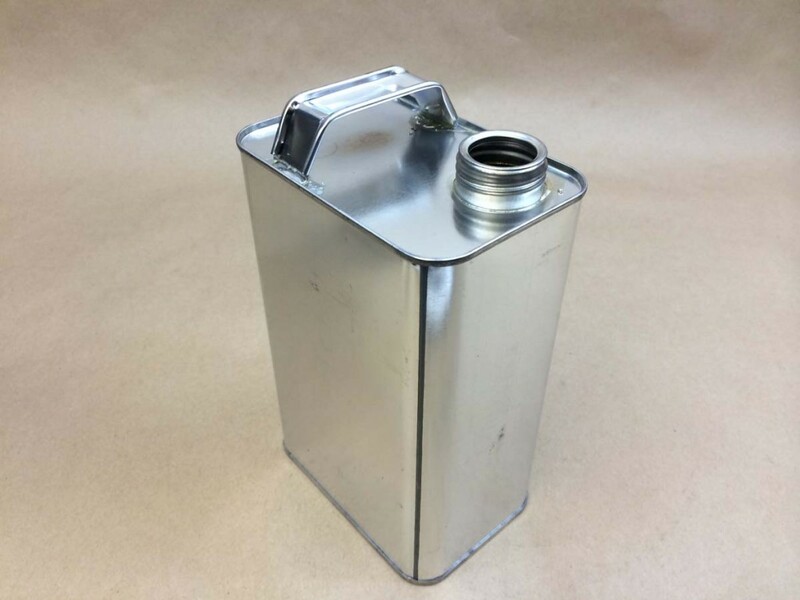 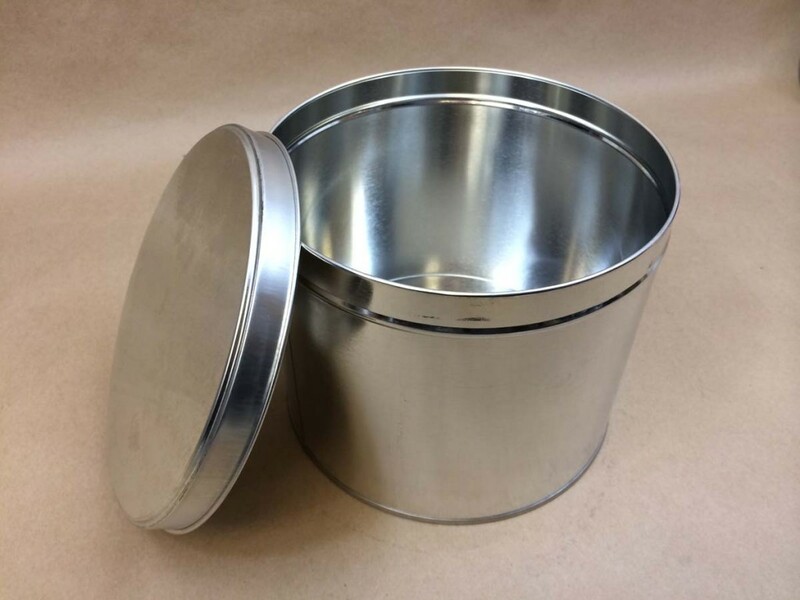 All of our tin cans/containers are made of tin plated steel. 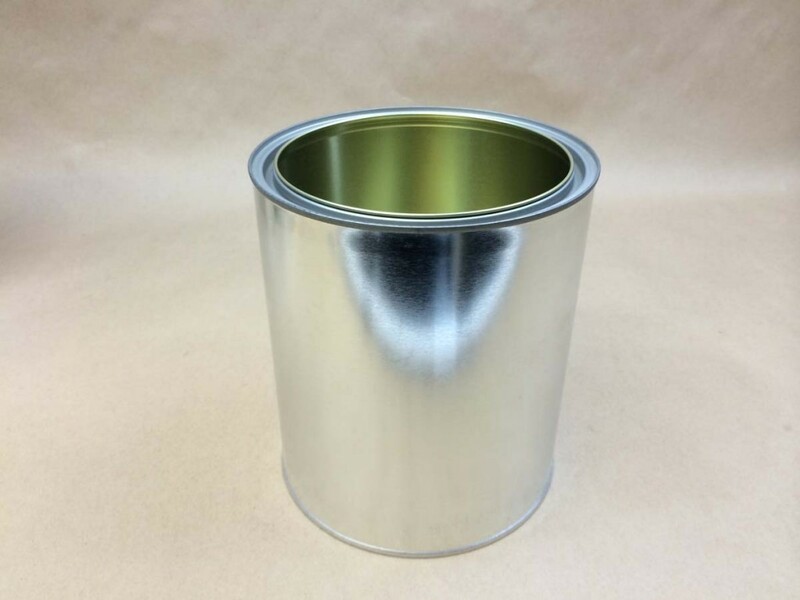 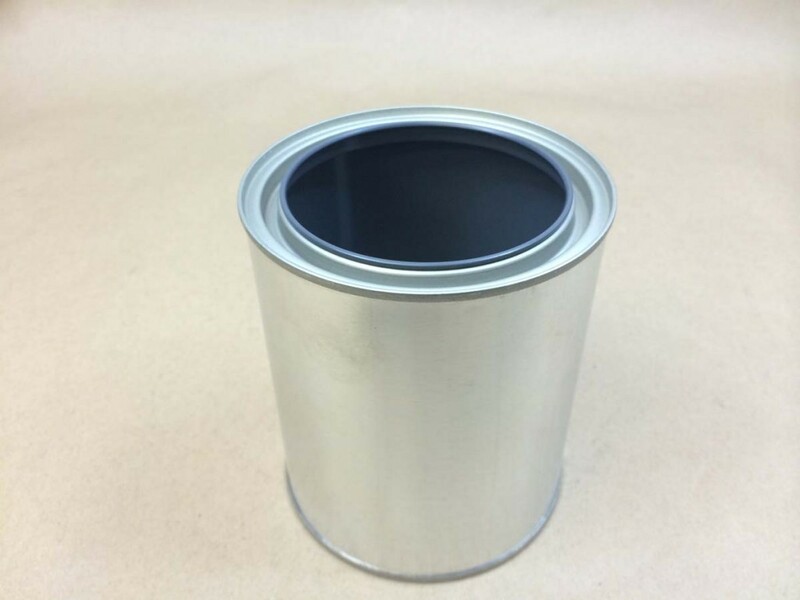 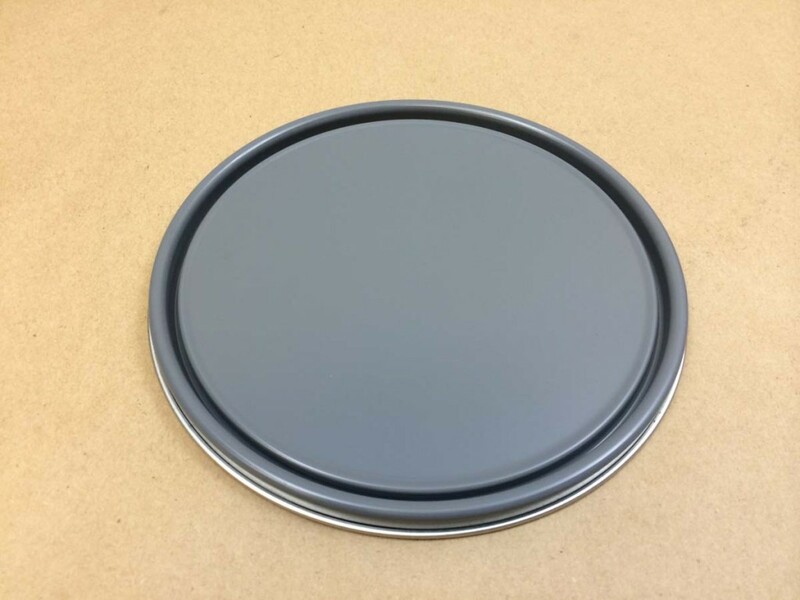 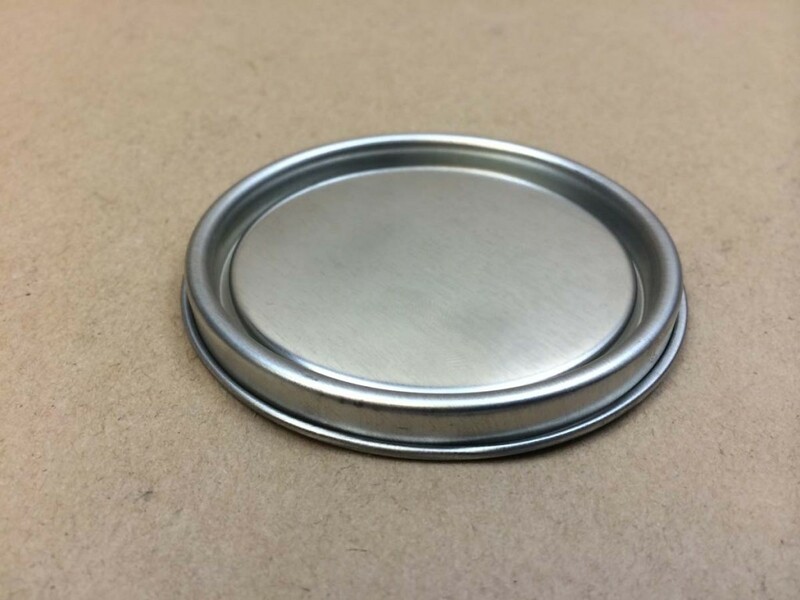 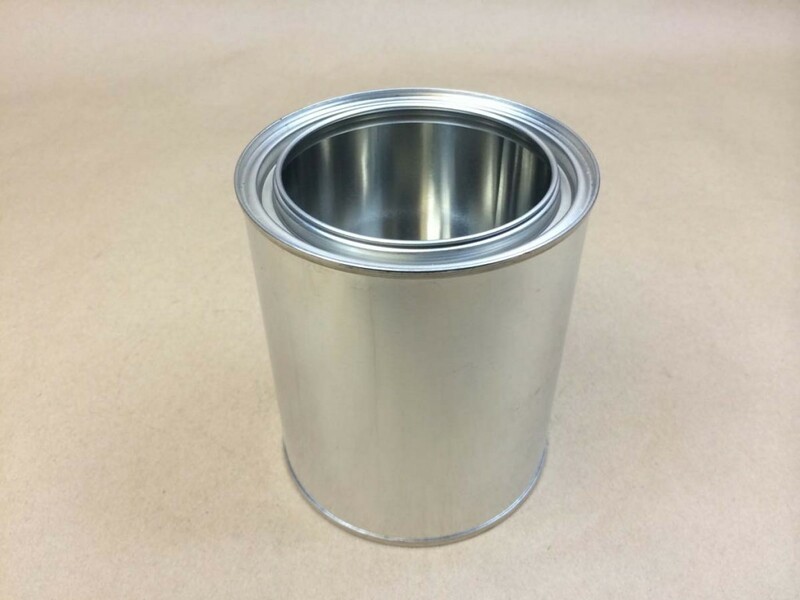 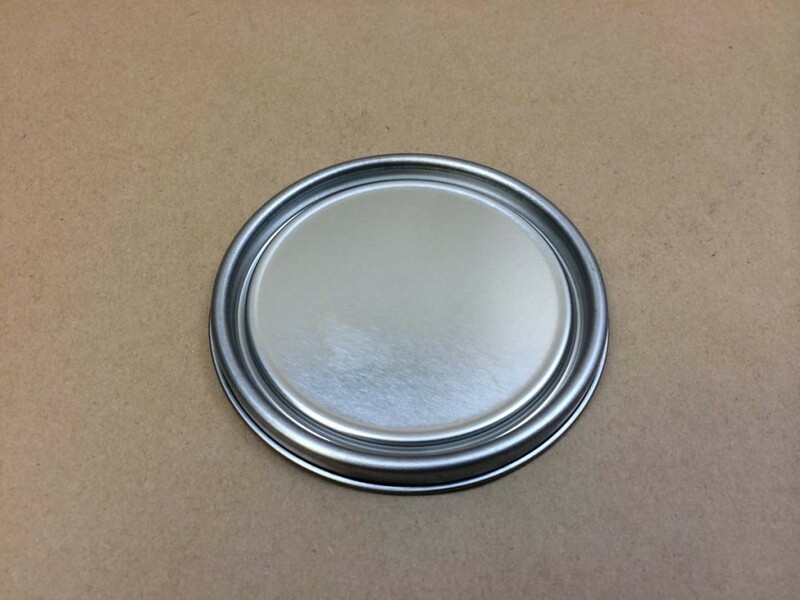 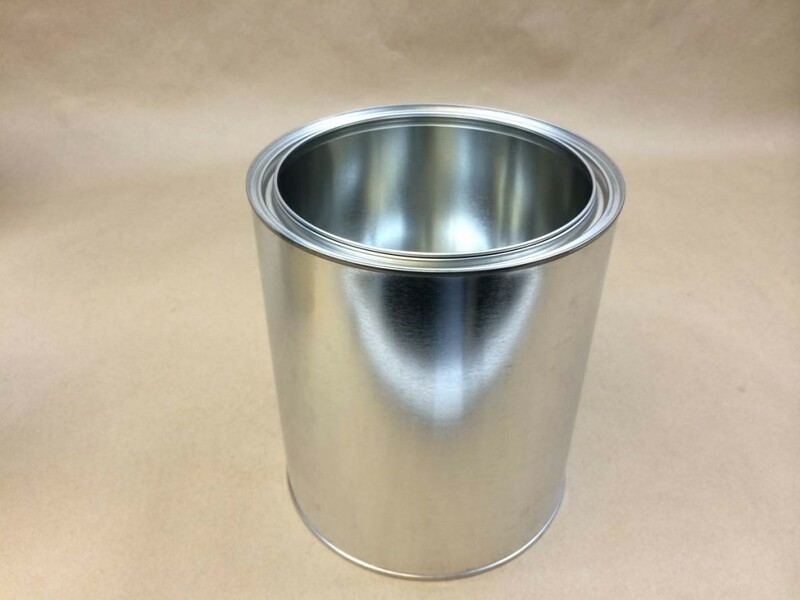 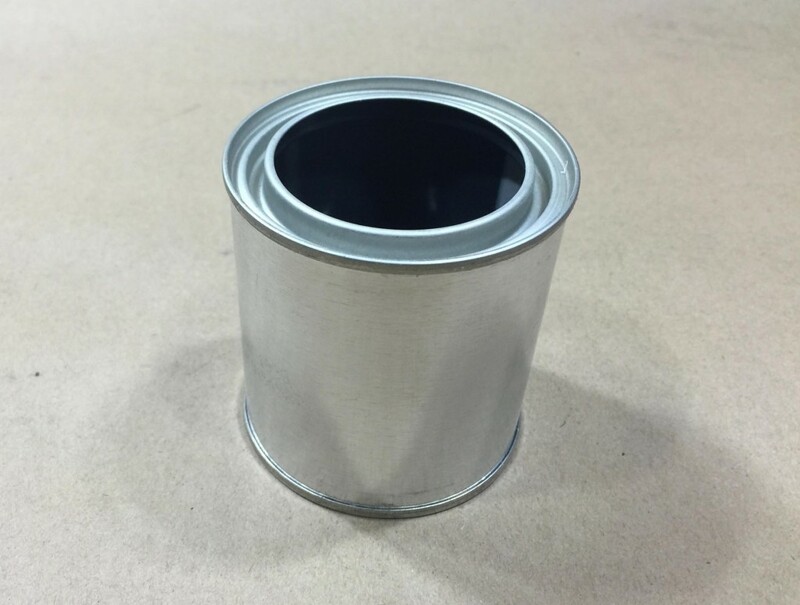 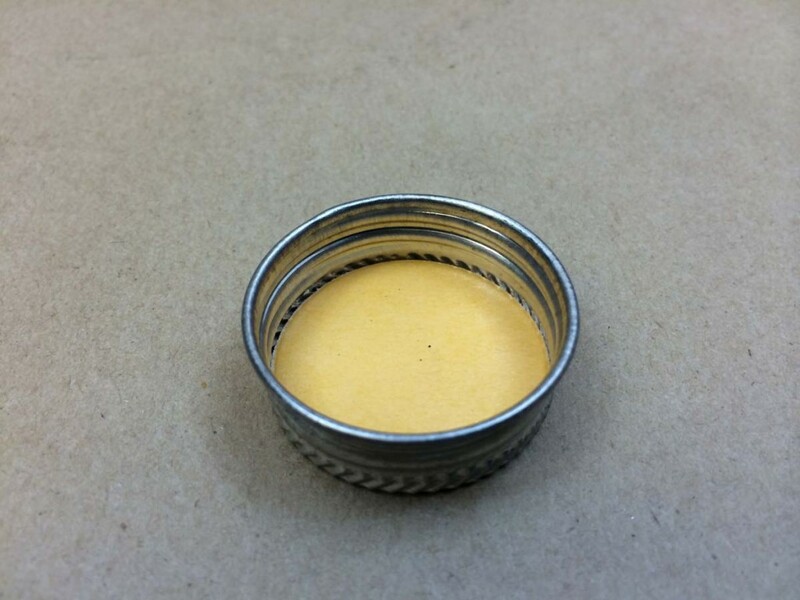 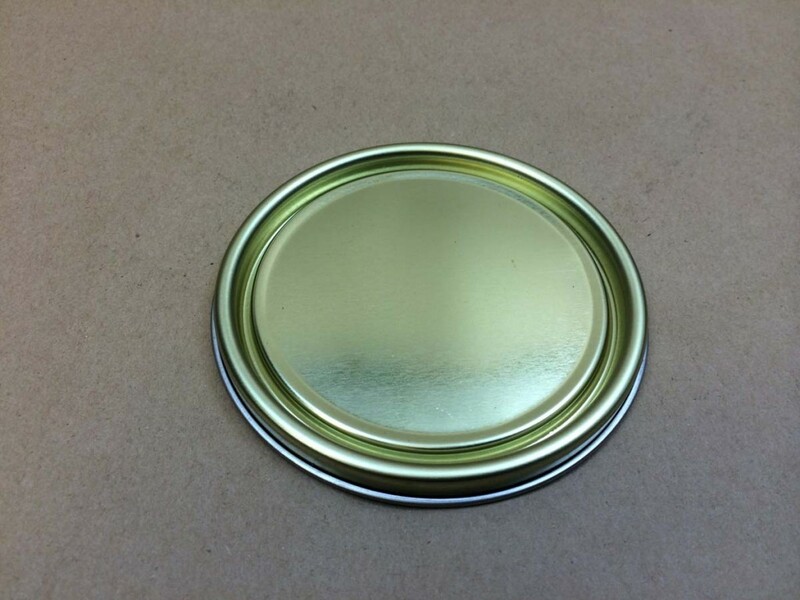 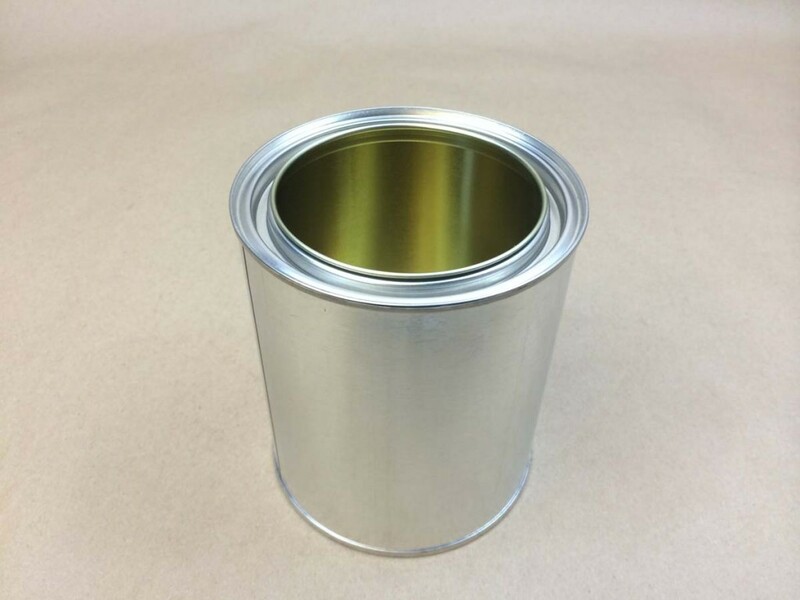 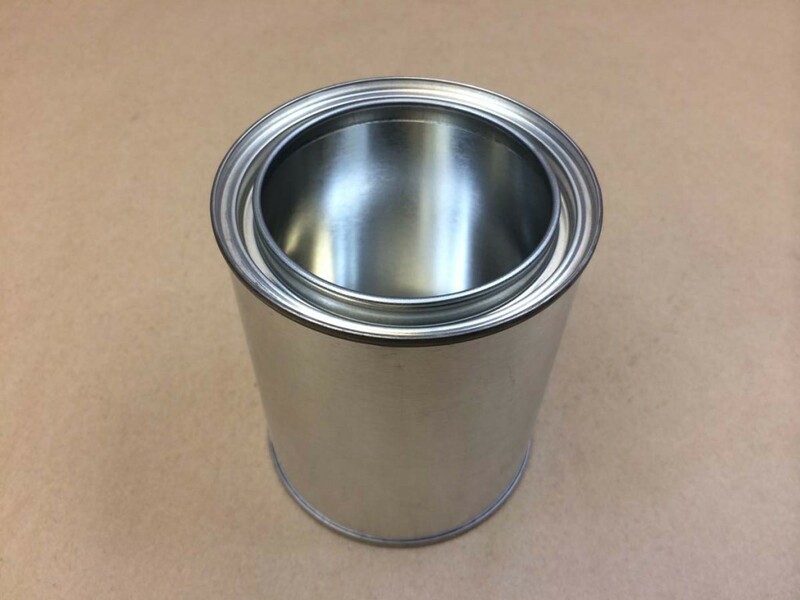 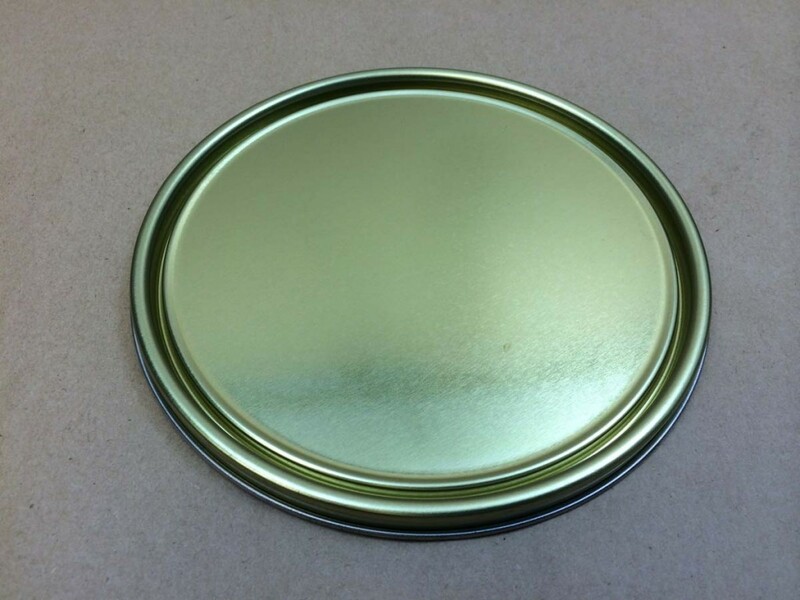 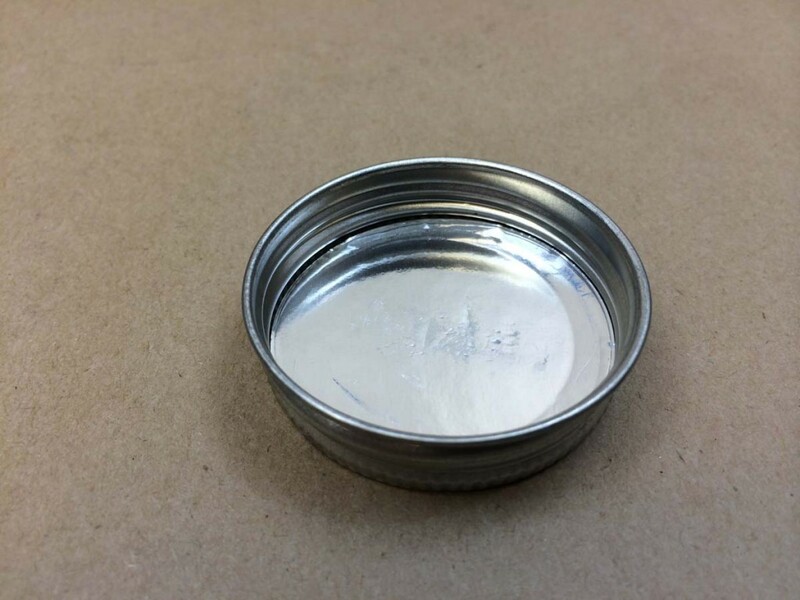 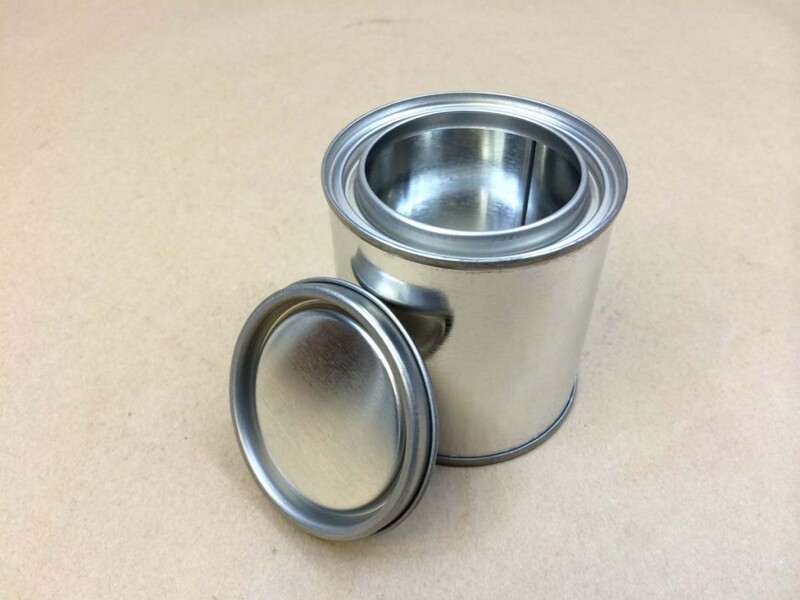 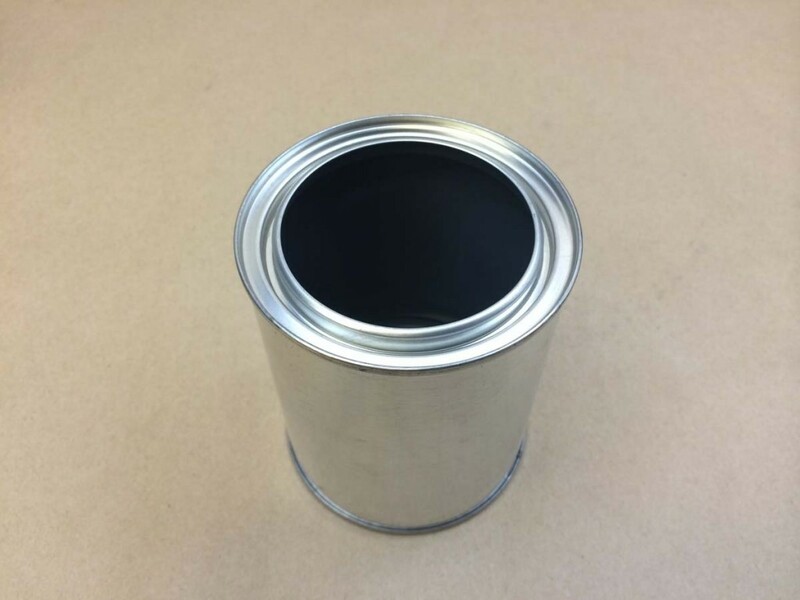 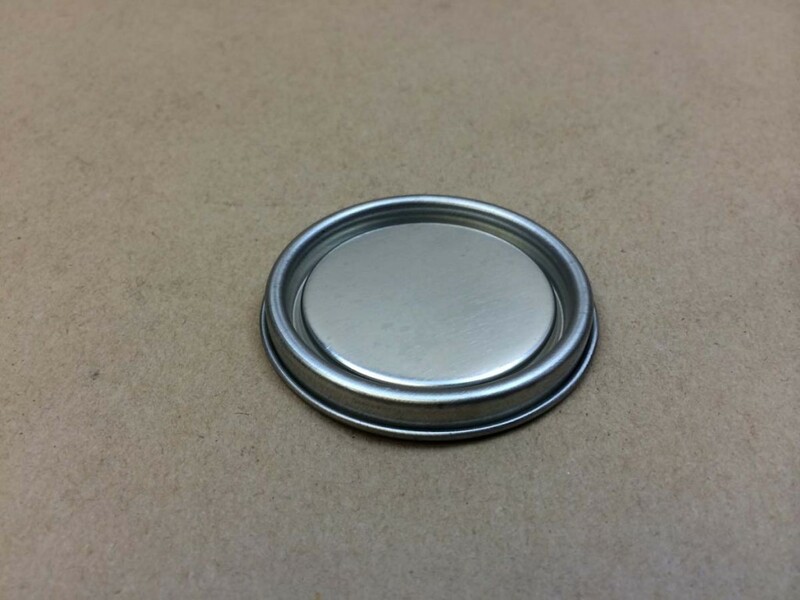 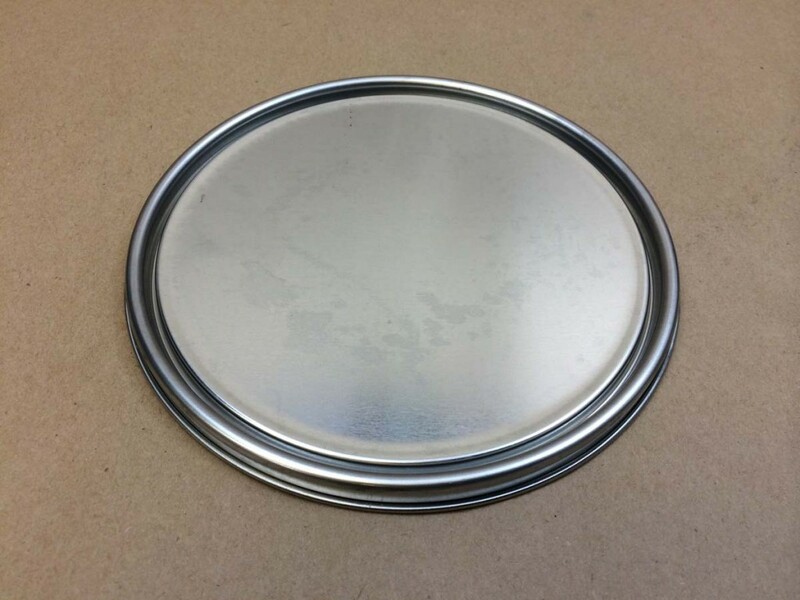 In addition to tin paint cans, Yankee Containers also carries slipcover tin cans. 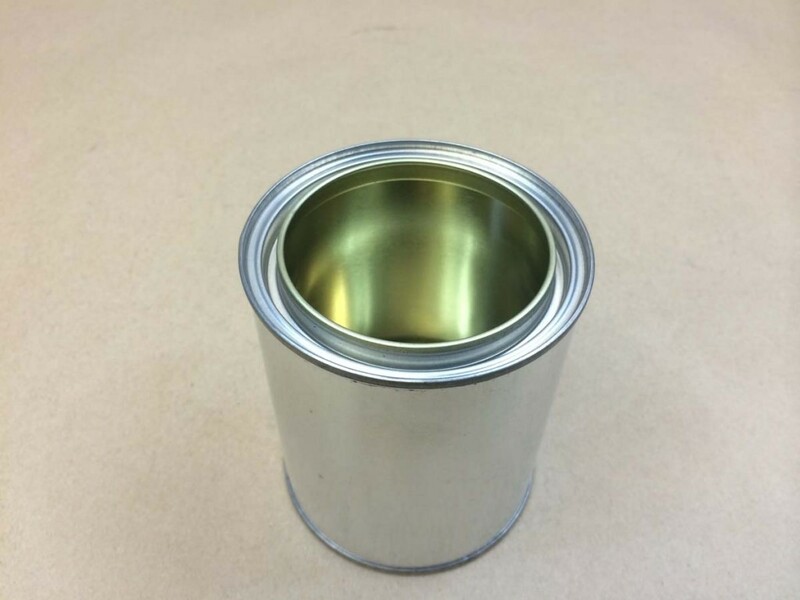 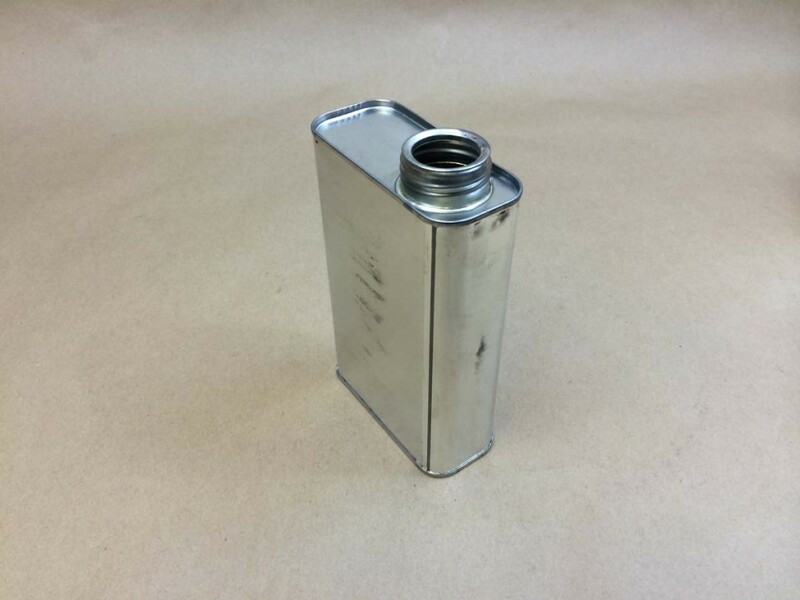 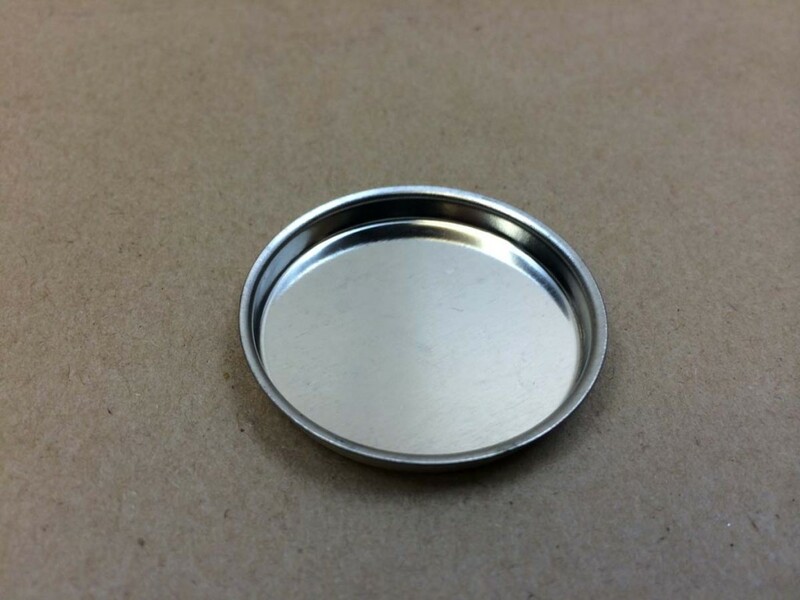 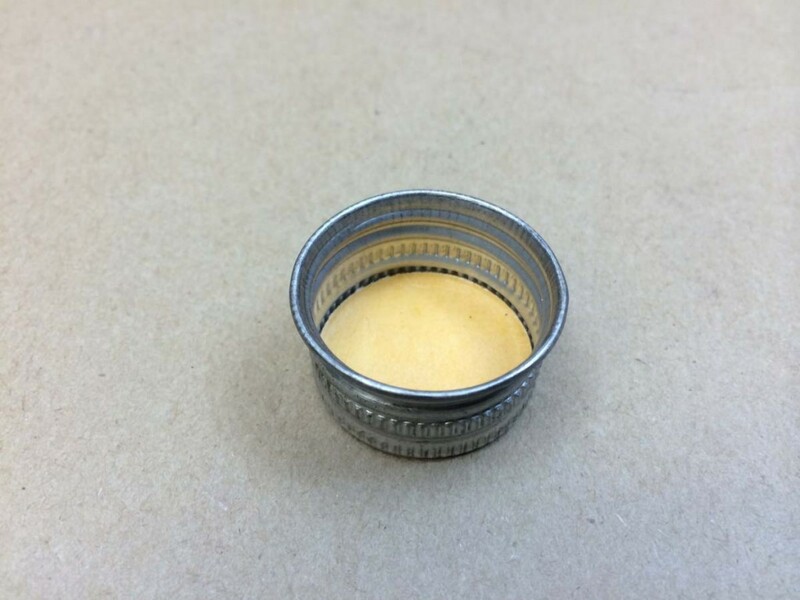 Our small 4 ounce can has a width of 2.5 inches and a height of 1.75 inches. 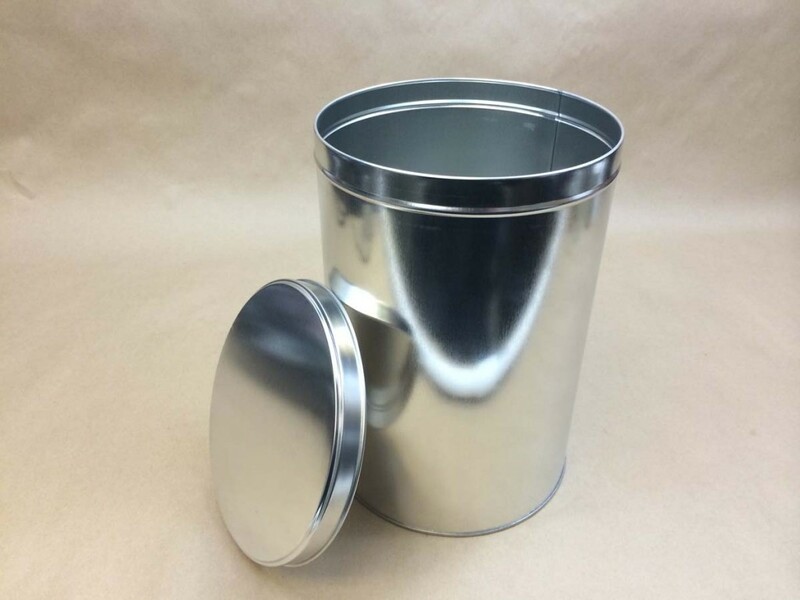 Our large can has a width of 7 and 8/16 inches and a height of 11 inches. 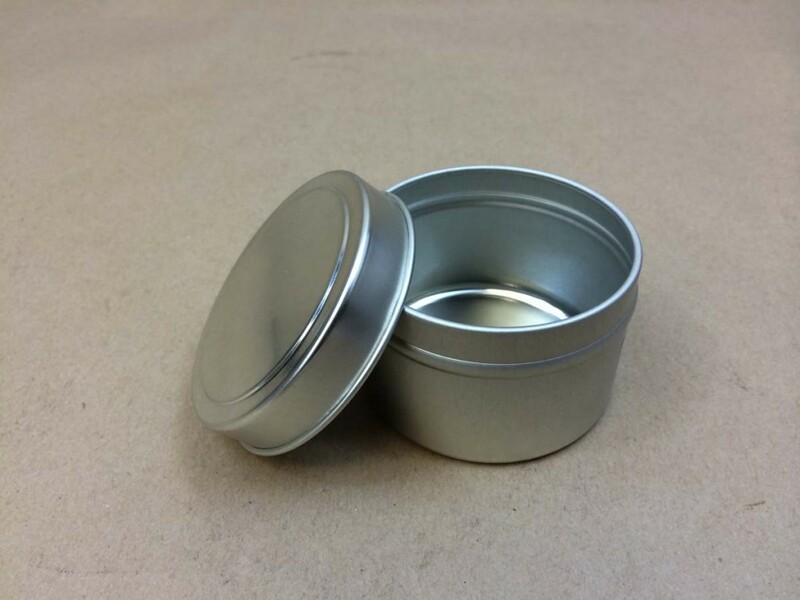 As shown in the picture above, tin F style cans are also available. 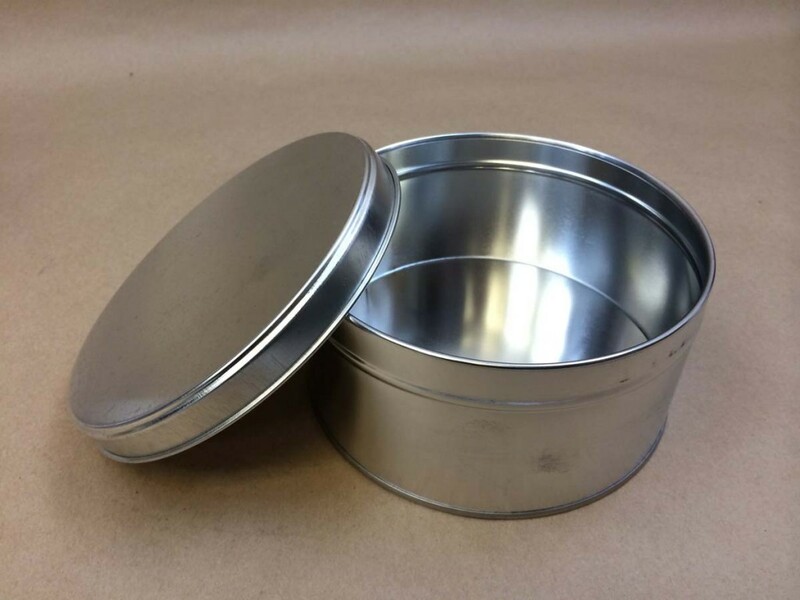 They range from a small 1/2 pint round size and go up to a gallon rectangular size. 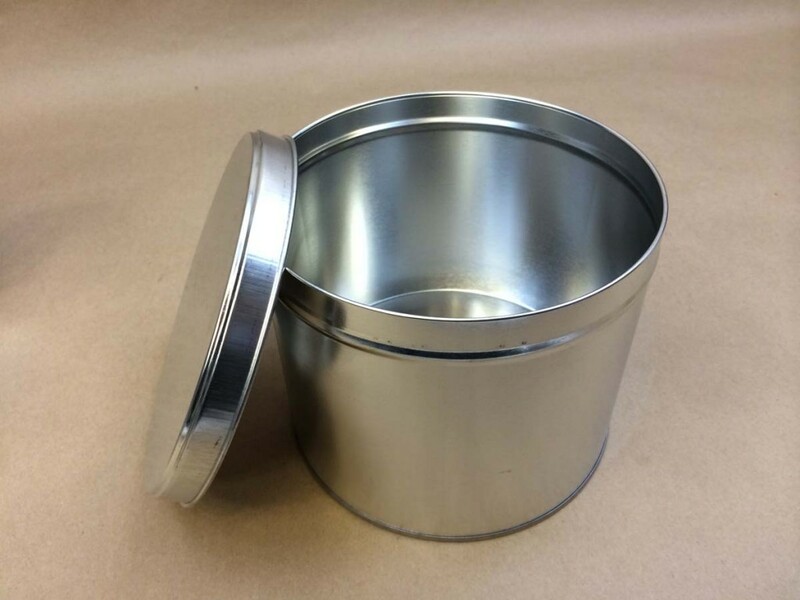 Pictures and pricing on all of our items mentioned above can be found by scrolling below. 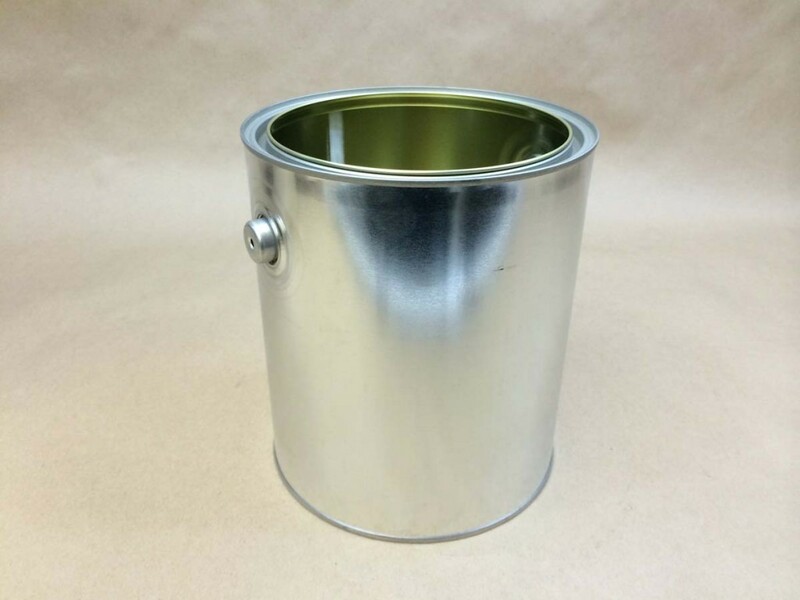 We sell lined and unlined paint cans. 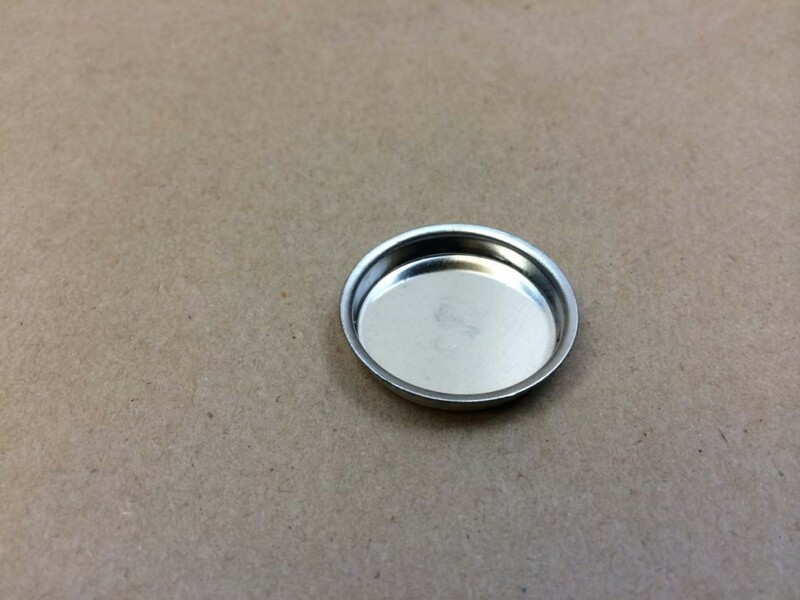 Please note that in most cases plugs and bails are sold separately.